While an entire industry has been built around the ‘digital detox’ and social media’s been labelled as a new type of addiction, China’s netizens feel that social media actually offers a relief from daily life. Some 57% of Chinese users feel social media helps them “relieve from pressure in real life”, up 12% points from last year according to Kantar’s latest study. The positivity index of social media making an impact, as it had increased to 80.6, up from 79.8 in 2017. WeChat was the only social media app to lose out on this trend, as Chinese users rated it lower compared to 2017. Weibo too had hardly had any meaningful growth, stated the report. Meanwhile, the negative impact of social media in 2018 was that people’s “eye-sights getting worse” (49%) and they were getting “less sleep” (47%). Also, in tier-3 cities in China, there were almost 10% fewer social media users in the 25-34 year age group compared to tier-1 megacities like Shanghai and Beijing. 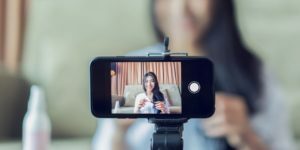 The trend is driven by the increased percentage of students and retired people in smaller cities, who are more willing to try more time-consuming apps, such as short format video apps and social shopping apps. Kantar’s 2018 report titled “Understanding China’s Diversified Social Media Universe” lists the latest trend of China’s social media industry: the diversification of users, the diversification of platforms, and the diversification of consumer demands.